The International Paralympic Committee (IPC) has accepted the International Golf Federation (IGF) as its newest member – increasing the possibility of the sport one day being added to the Games’ programme. As a result of the agreement, the IPC has pledged to extend its support for Para-golf and to help develop the sport over the coming years. The European Disabled Golf Association (EDGA) signed up former number one player Lee Westwood as an ambassador in July to help with efforts to promote the game. “I am looking forward to helping EDGA achieve their objectives of encouraging more people with disability to play golf and ultimately to help golf become a Paralympic sport,” said Westwood. The ALGARVE PRO GOLF TOUR (APGT) have offered EDGA two complimentary entries for each tournament on the 2016 tour. 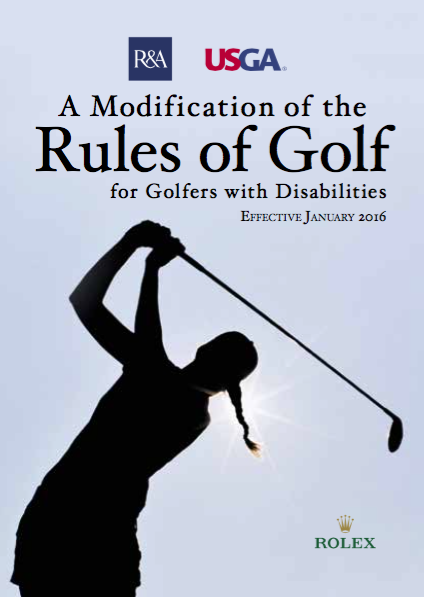 EDGA is keen to encourage golfers of all abilities. By competing with professionals and aspiring amateurs, the players towards the top of the gross Ranking will have the opportunity to test themselves. For more on this story. The February swing takes in the Palmares and Boavista courses at the west side of the Algarve, while the March swing moves along the coast to the east and visits Quinta da Cima and Castro Marim. For the full schedule click here. As this is a professional tour, the level of play is high, only those players with a proven performance record and a low single figure handicap will be able to take advantage of these invitations. See previous event scores here. Anyone who wishes to take part should in the first instance contact Tony Bennett (t.bennett@edgagolf.com) who will provide more information about the terms of the invitation. EDGA has no involvement with the Tour or its management.